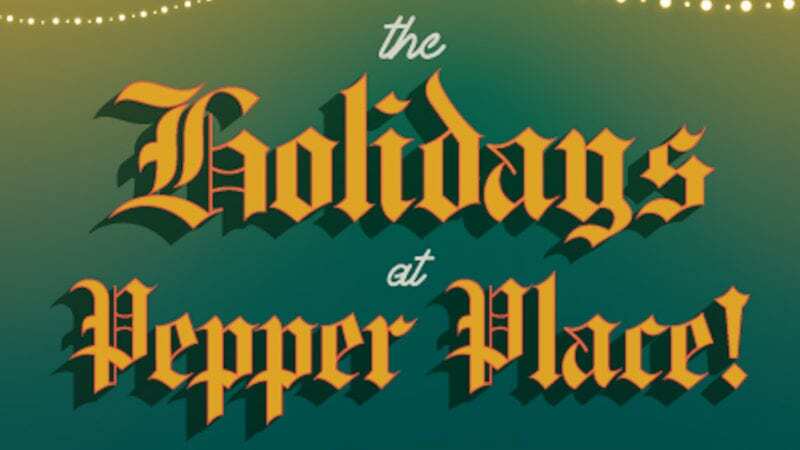 Next week, Pepper Place is decking the halls, trimming the tree, and inviting Birmingham to come get an early start on the holiday season! From December 4th through 6th, all of our retailers will be extending their hours until 7:00 so you can take advantage of some extra time to do holiday shopping. But it shouldn’t just be about checking items off your list! Our fantastic restaurants will have holiday specials running throughout the week for you to pop in out of the cold for a warm meal and a glass of holiday cheer. Check out the happenings below! Holiday Wine Tasting 12/14 5-7pm $10/person over 15 wines featured. Attendees get the $10 ticket price towards their wine purchase that evening. OvenBird will be putting their Idiazabal Cheese soup back on the menu! With muscadine grapes and toasted pecans making for the perfect winter appetizer! Come in from the cold and warm up with our Idiazabal Cheese Soup and a glass of red wine for $10.00! And as always, the Market at Pepper Place will be going strong from 7:00AM til noon on Saturday, December 8th!